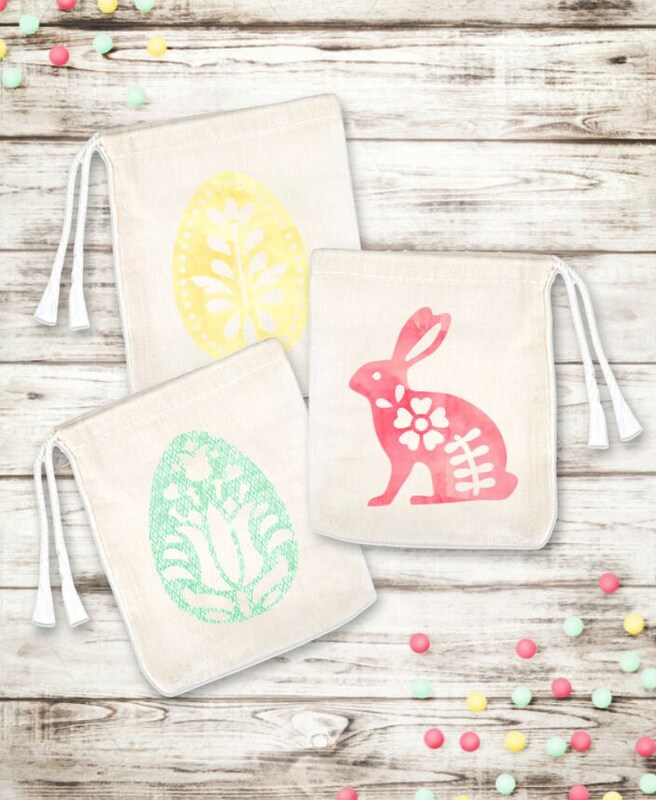 Perfect for Easter, this set of 6 bags is made in your choice of colors. Each cotton bag is finished with matte, glitter, or metallic foil vinyl Easter egg and rabbit shapes in your choice of colors. Bags measure 4"x6". Egg and bunny shapes can be all the same color, or any mix of up to three colors. 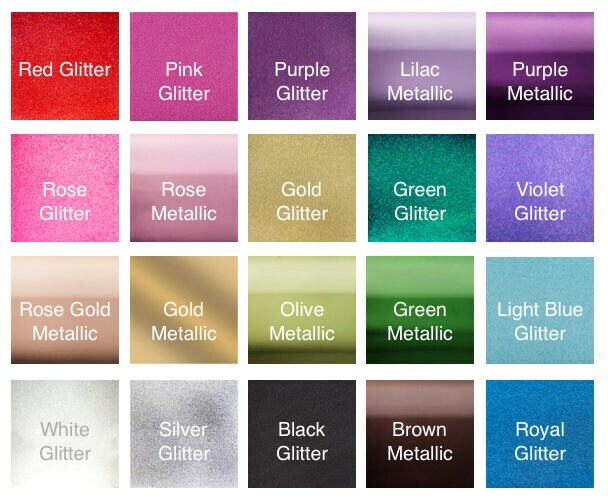 Be sure to leave your color choices in the "notes" section of your order. This item is shipped Free Standard First Class 3-5 Day Mail, unless an upgrade is selected. Includes copyright material of Cricut and Meadowlark & Bluebird.